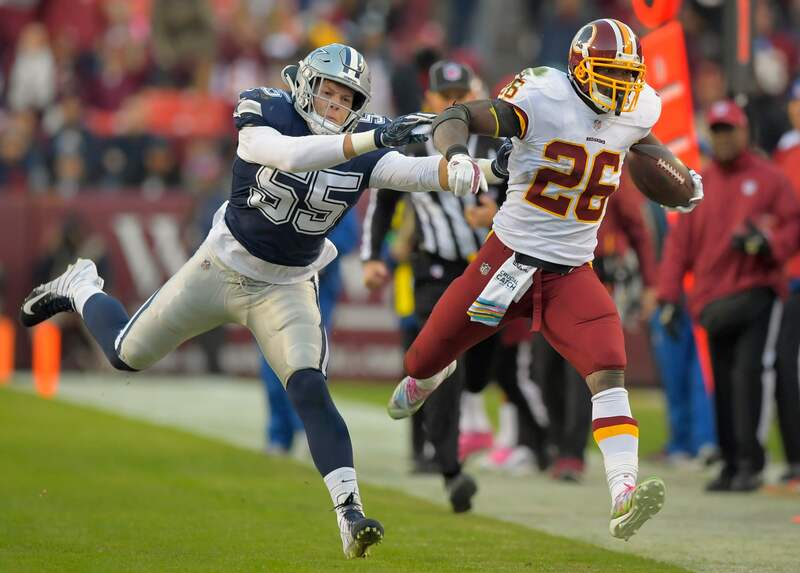 When the Dallas Cowboys played the Washington Redskins in week seven this year, it was really clear what the Cowboys would have to do defensively to slow down the Redskins. For the most part they were successful. They didn't allow Alex Smith to beat them with his legs and they didn't allow big plays in the passing game. The one area where they struggled was in the run game against the eternal Adrian Peterson. His stat line, 24 carries for 99 yards, isn't all that impressive when you take it at face value, but he was effective in keeping the Redskins in favorable down and distances and even broke several runs for big plays against the Cowboys top five ranked run defense. Looking at the chart below provided by Next Gen Stats and NFL. com, you can see where Adrian Peterson did most of his damage during the Cowboys week seven loss. When the Redskins ran Peterson between the tackles, the Cowboys were generally there to prevent him from going for big gains. He ground out the dirty yards as he only had one carry go for five yards when running between the tackles. . 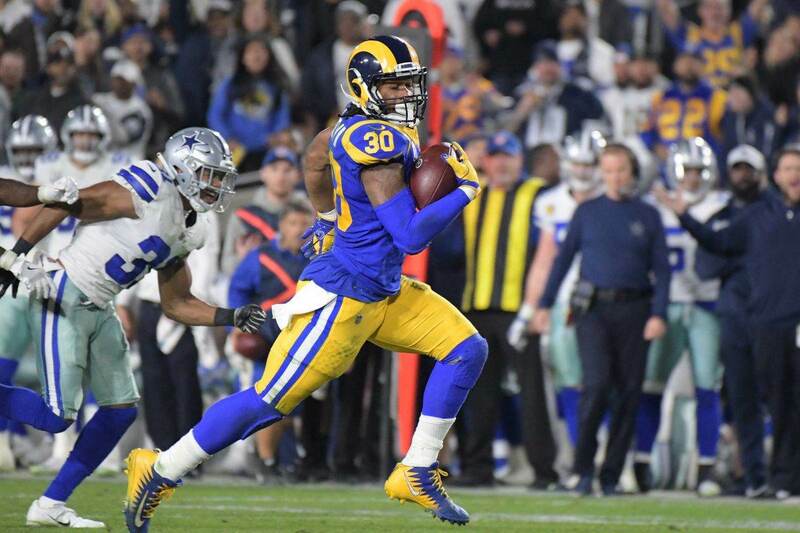 Per Pro Football Focus, Peterson carried the ball off tackle or to the interior 15 times and only gained 32 yards, including one run for 20 yards. That one run for 20 yards was technically off tackle as the center and guard pulled to the outside and Peterson ran to the inside of the pulling guard, as you'll see below. So on the 14 other carries, Peterson gained 12 yards when running off tackle or to the interior. When he and the Redskins wide, Peterson gained 67 yards on 9 carries. Some of what Adrian Peterson was able to accomplish was a nice play call at the right time against a favorable defense. However, much of Peterson's success against the Cowboys came because of Adrian Peterson the future hall of fame running back. Let's look at some of the game film to see where Adrian Peterson had his success. On this first play, the Cowboys have the play snuffed out and there's no where for Adrian Peterson to go. He's attempting to get to the outside, but Jeff Heath holds up Vernon Davis to set the edge and the defensive line and linebackers have filled their gap assignments expertly. Adrian Peterson being the veteran that he is, sees that the Cowboys have played the run well, but have left a lot of room for him to cut back. As he makes his cut to go against the play, you see that there's a ton of room to the backside of the play. After DeMarcus Lawrence jumps the offensive lineman to try to make the play on the backside, he's caught out of position and Peterson has nothing but space in front of him. All he has to do is give Kavon Frazier a slight hesitation move and he has the speed to get around him for more yards. Here the Cowboys get good penetration from their defensive line and the linebackers have the play pursued well, but because the defensive line has crashed up field, there's a lot of room for Peterson to cut back inside after Jaylon Smith cuts off his outside run. Jeff Heath and Xavier Woods are slow to rally to Peterson and several missed tackles later, Peterson has another nice gain. This run is a really nice play design against a weak front to the play side. You can see that Jaylon Smith and Leighton Vander Esch are shading to the weak side of the formation and Heath is down in the box to help against the tight end. The Redskins pull the center and the guard at the snap and they have simple assignments taking on Jeff Heath and Byron Jones on the outside. Both defensive tackles work the A gap and are out of the play immediately and Taco Charlton gets caught rushing inside and isn't able to effect the play at the point of attack. Leighton Vander Esch looks like he read pass and began to drop into coverage, but it puts him playing catch up on the play and the Redskins have a big gain on the ground. The Redskins had a nice game plan for the Dallas Cowboys run defense. They were able to get to the perimeter for several big gains to control the game. The Cowboys defense had a nice day in general, holding the Washington Redskins to 13 points on the day, but these big plays by Peterson and the Redskins offensive line killed the Cowboys. 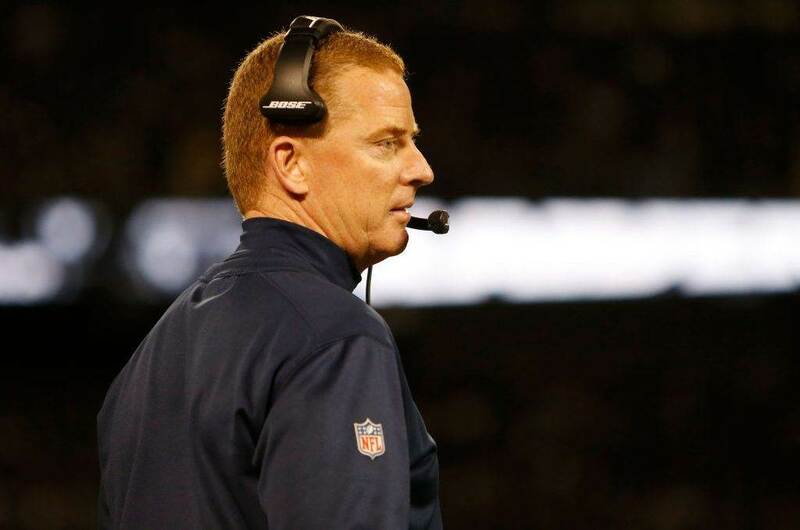 The Dallas Cowboys will need to be more disciplined in their pursuit so they aren't over-running plays and allowing Adrian Peterson to work back to wide open spaces. He's a great runner who has always had excellent vision. The back side pursuit will need to be there to keep Peterson from gashing them for big runs again on Thanksgiving Day. 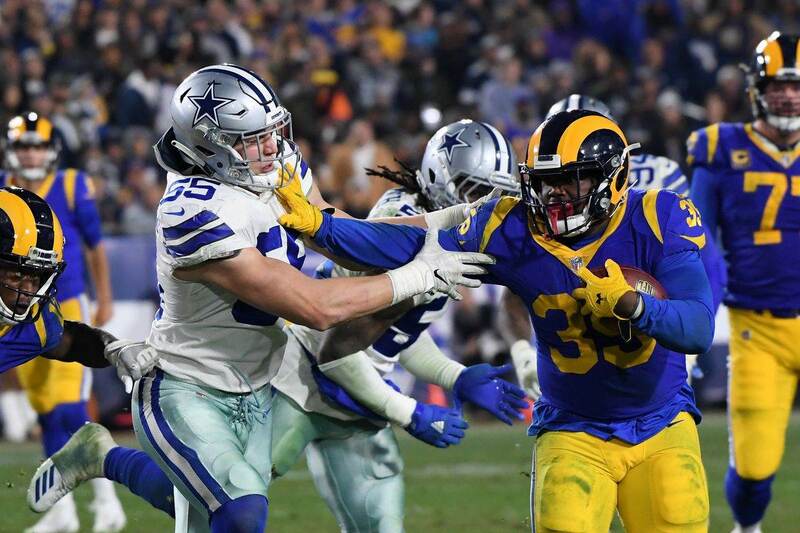 With first place on the line this Thursday, I expect the Cowboys defense to correct some of the things that went wrong in the first game and find a way to limit the damage done by Adrian Peterson and the Redskins offensive line.